Where Are We Now? Retrospective views, presentiments & departures into the unknown is leitmotif of steirischer herbst 2017.
steirischer herbst 2017 will be opened by Mette Ingvartsen: ”to come (extended)”. herbst exhibition 2017: “Prometheus Unbound” at Neue Galerie Graz. 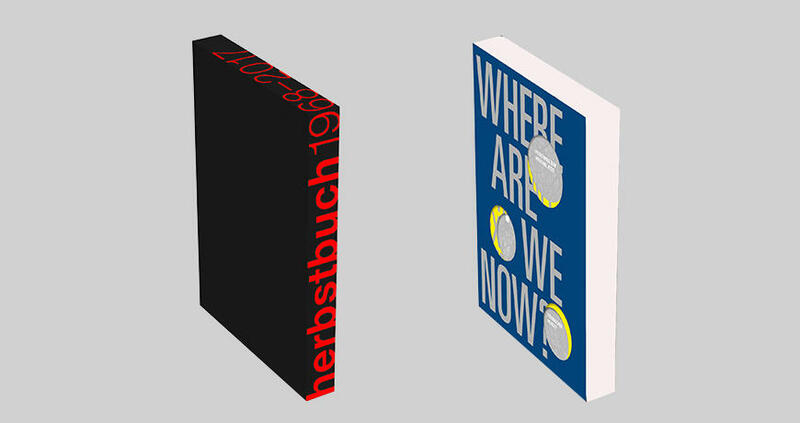 Available at the herbst shop: the two publications “herbstbuch” and “Where Are We Now?”. 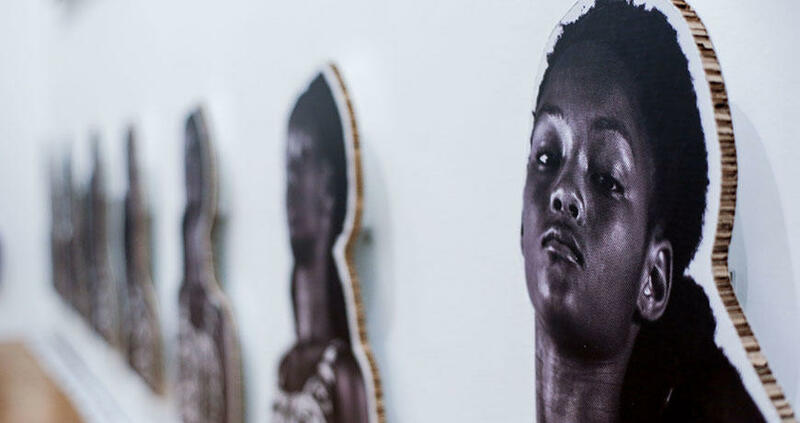 Marlene Monteiro Freitas stages the image of a world that is out of joint: ”Bacchae – Prelude to a Purge”. 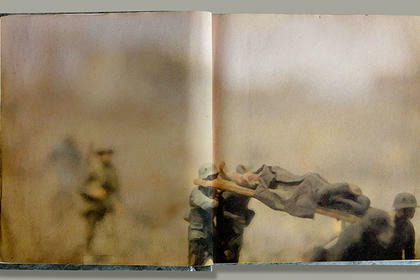 A global snapshot between kitsch and apocalypse – Tianzhuo Chen's ”An Atypical Brain Damage”. Toppling Apollon from his throne: Florentina Holzinger's ”Apollon Musagète“. "Cuckoo" - on the finite wisdom of a Korean rice cooker. Nature Theater of Oklahoma, EnKnapGroup and the search for the American Dream: “Pursuit of Happiness”. 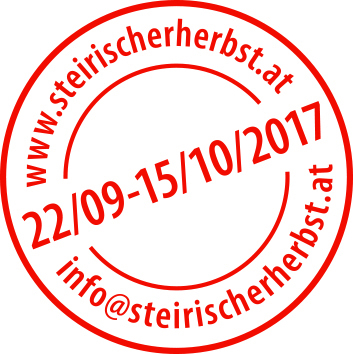 On 15/10 steirischer herbst 2017, which followed the leitmotif Where Are We Now?, came to an end. 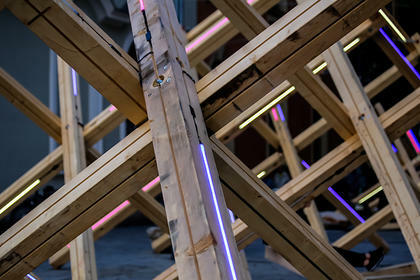 There were 138 projects and 477 events on 24 days of the festival. 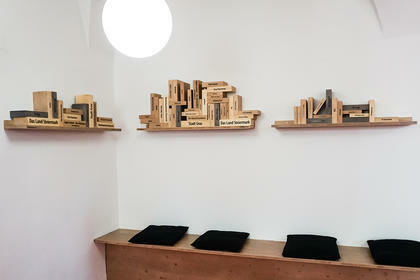 The number of visitors was 54,076 (excluding projects that took place in public space and in media). 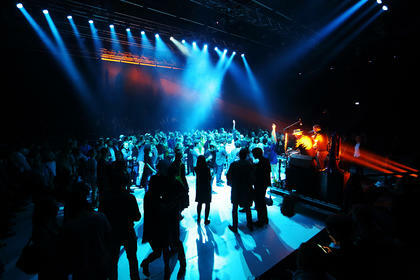 More than 1,000 artists, theorists and other participants from a total of 49 nations were involved while the percentage of tickets sold for stage productions and concerts was 93,06%. 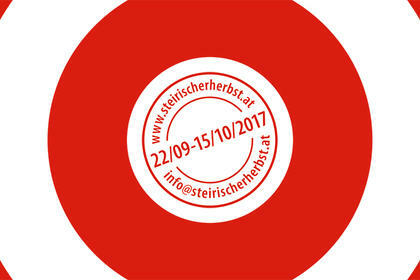 steirischer herbst celebrates an anniversary! 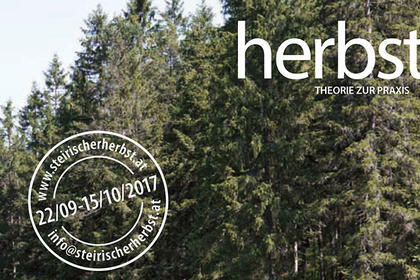 In 2017, steirischer herbst celebrates its 50th edition. Because of that, there wil be anniversary projects throughout the festival. "steirischer herbst. 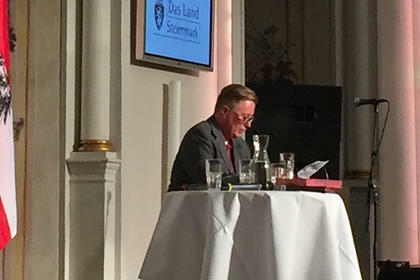 Or, Why Europe’s oldest new art festival must take place in Styria of all places"
Georg Friedrich Haas held a celebrated speech during the ceremony "50 years of steirischer herbst" – you can find here. 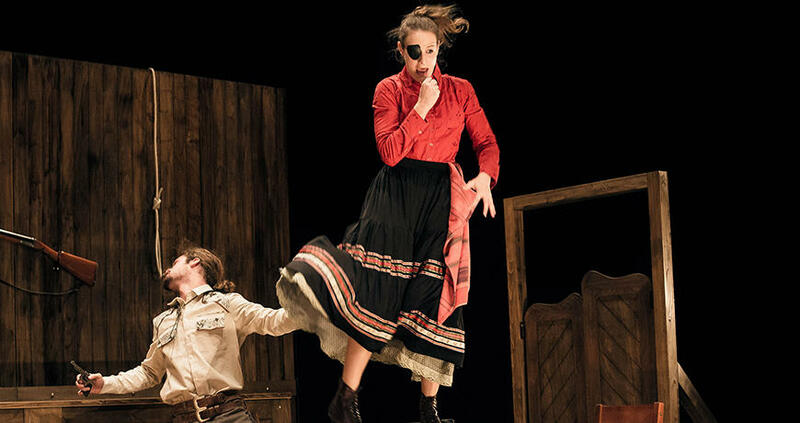 The Nature Theater of Oklahoma ventures the impossible: creating a film version of Elfriede Jelinek’s novel “Die Kinder der Toten”. Filming around Neuberg an der Mürz is, at the same time, a live performance. Anyone who wants can come along and watch and, above all, join in! After years of roaming the city, in the festival’s fiftieth year steirischer herbst is declaring its headquarters as festival centre. With spectacular roofing over the courtyard, an installation in public space, a wide range of events, bar and restaurant, among other things. We would like to thank all of steirischer herbst's supporters, partners and sponsors, without whose generous support the festival could not exist in its present form! 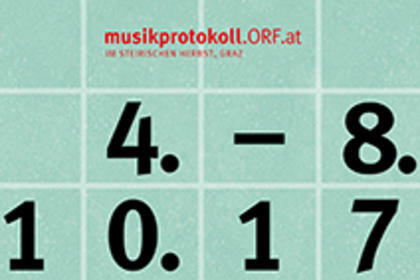 You would like steirischer herbst's programme in neat book format? Just order it here. In an exhibition at Palais Attems, the internationally renowned artist Walid Raad proposes artworks and stories about Islamic art, World War I and the building of new infrastructures for the arts in the Arab world. 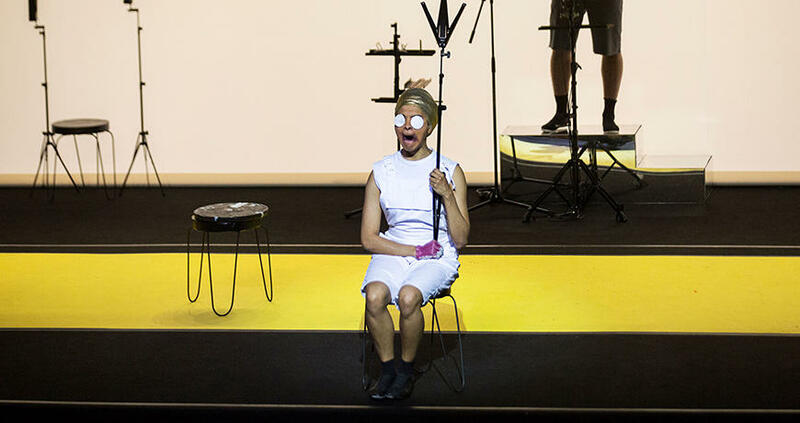 Centred on an unconventional ball, musikprotokoll spans a bridge from yesterday into tomorrow with numerous composition premieres. 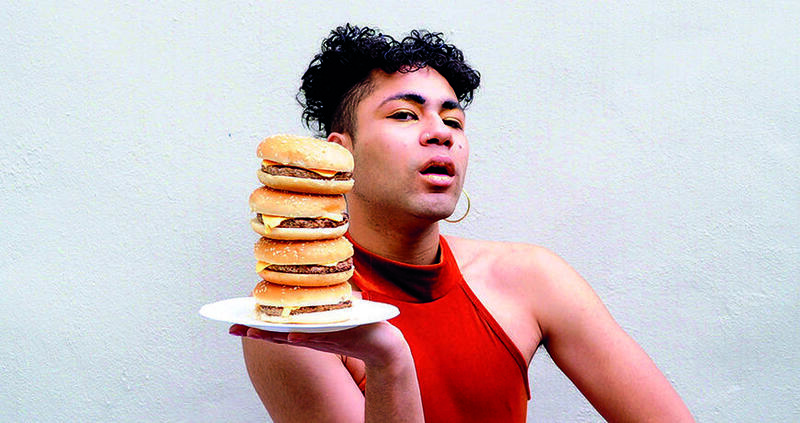 For the twelfth time, the herbst magazine accompanying the festival was released in 2017. And as always, it is more than a programme booklet that sums up and explains specific works. 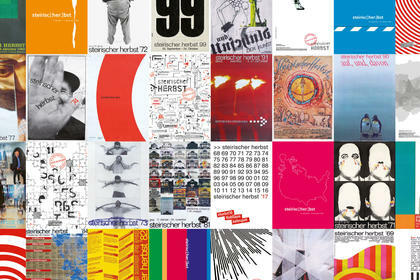 The herbst archive is online! 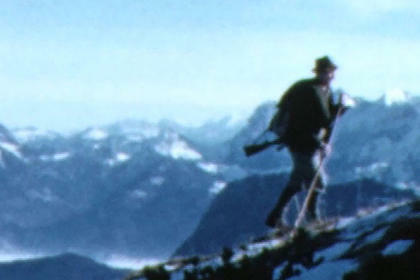 steirischer herbst invites you to browse through its history: the comprehensive online database is now accessible.